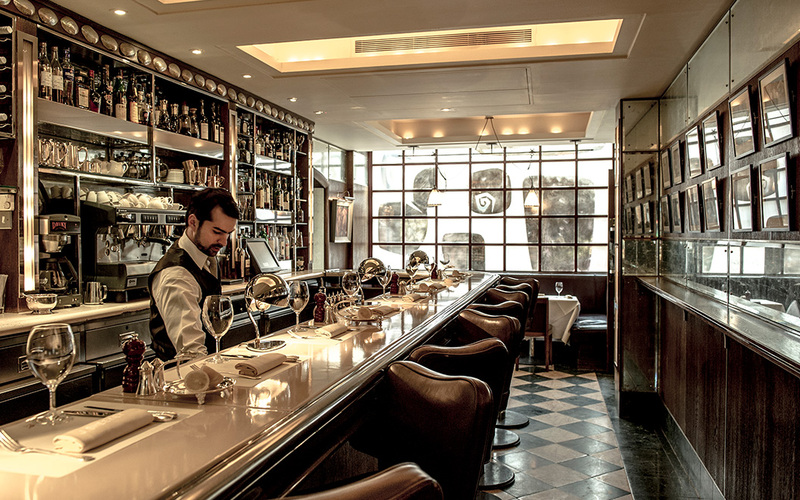 Balthazar’s relaxed brasserie vibes have established it as a firm favourite amongst team UJ (lobster and mac and cheese is always a winning combo). There aren’t that many bar seats here, so we say aim for the corner seat and indulge in some serious people watching. 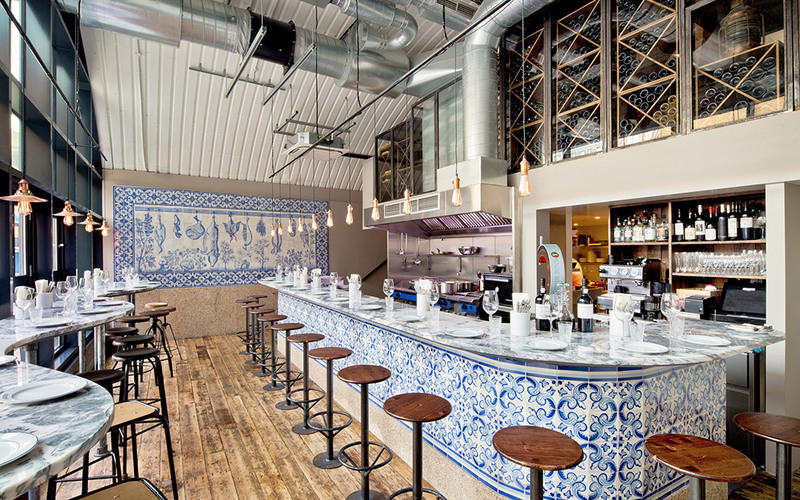 For bright, airy bar dining vibes (and authentic, robust Portugese plates), head to Bar Douro. 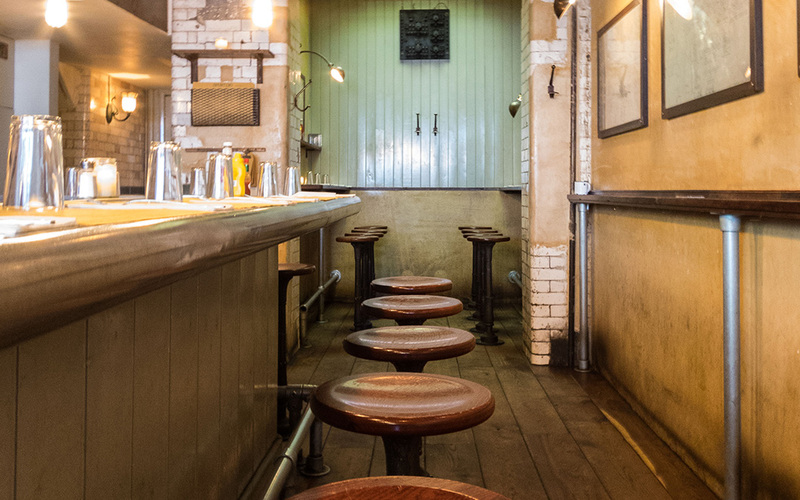 Either sit at the straight bar and watch the chefs work, or wriggle your way in to the front-facing bar that snakes around the room and gaze out on to the terrace. First things first: don’t bring veggies here. This is bar dining, Barcelona style: pull up a stool, order a glass of cava rosado, and tuck into platters of hand-carved jamon (hanging directly above you on the ceiling) and queso. 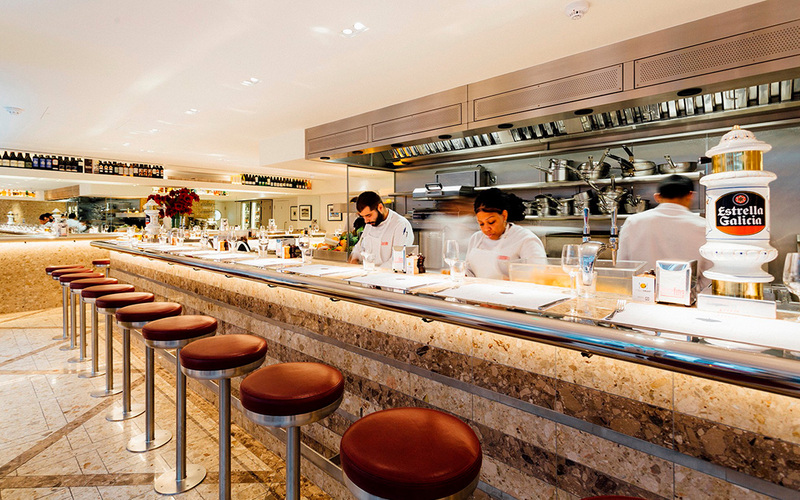 When it comes to counter dining, no list would be complete without Barrafina. The problem is, getting a spot at one of their counters isn’t exactly easy. 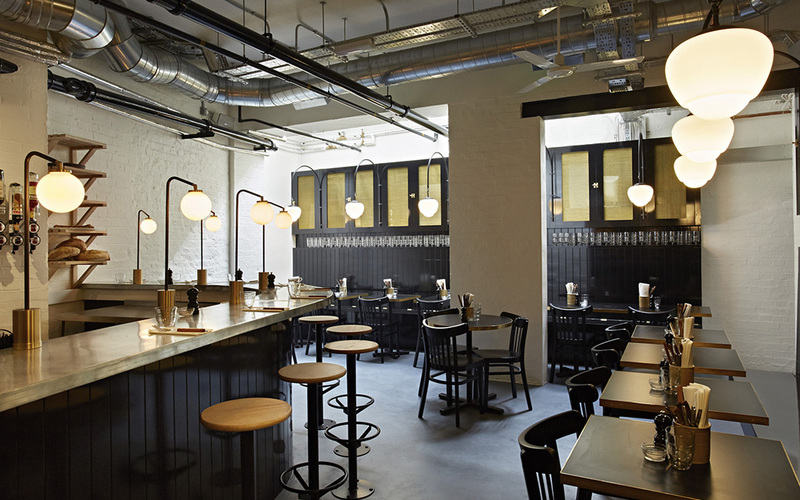 We have a soft spot for the Frith Street location, but all of them are equally good – try the one on Drury Lane if you want a better chance of getting a seat, and never leave without ordering the tortilla, carabinero prawn and at least one of the specials. 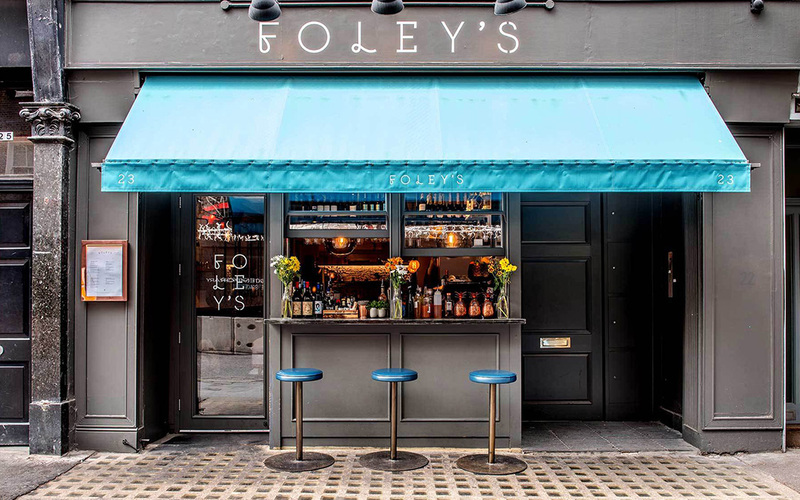 So you might not think of Foley’s as a bar dining destination, but they have four (sought after) seats outside, which face directly on to the bar. Find us here as soon the temperature reaches over 15 degrees, ordering Cantonese grilled prawns and their spicy Tommy’s margarita. 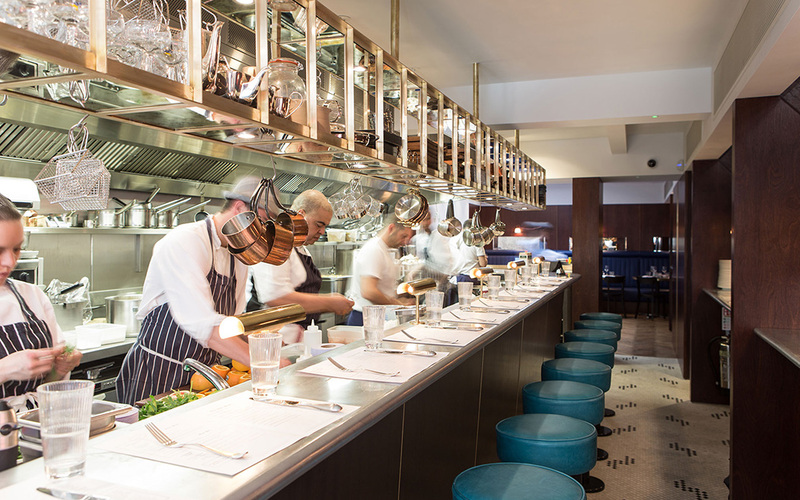 One of London’s most iconic seafood spots, J Sheekey is really all about the oyster bar – so much so that all the other tables are oriented to face it. What else can we say? Order a glass of your favourite Champagne and dig in. 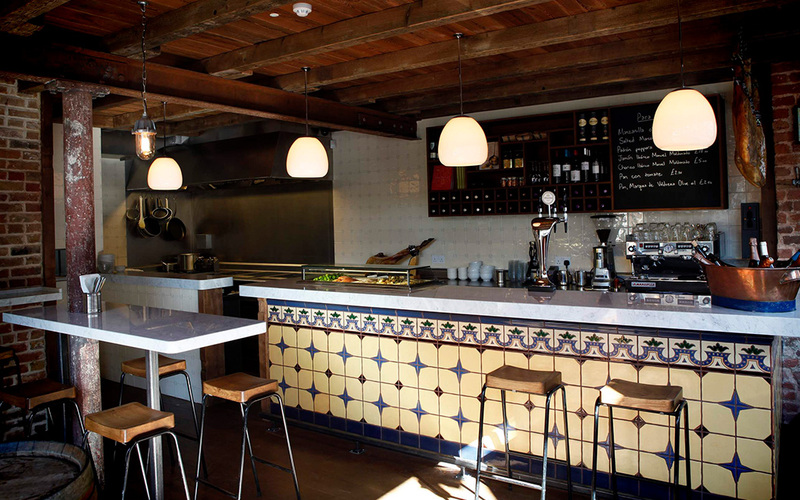 Located on the same street as José Pizarro’s main restaurant, his tapas bar José is a team UJ favourite. 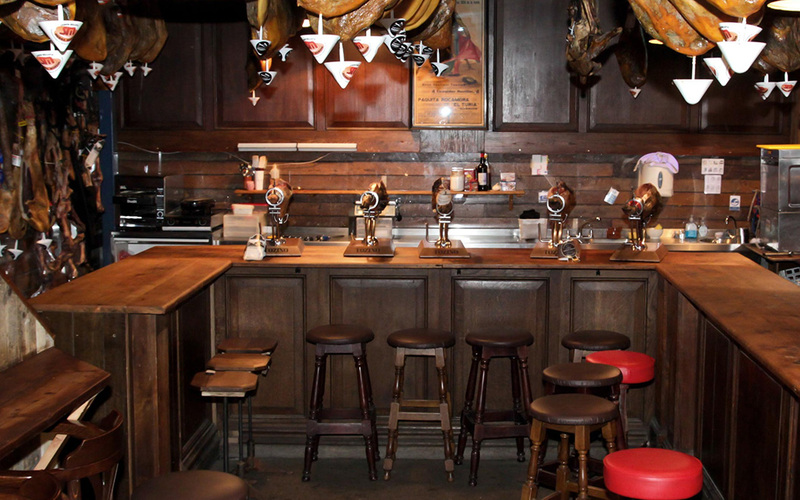 Don’t expect to get a seat here – this is more of a perch-at-the-bar affair – although there are a few stools dotted around if you’re lucky. It’s always busy here, so get in early, order a glass of red (the wine list is great) and a plate of pan con tomate. 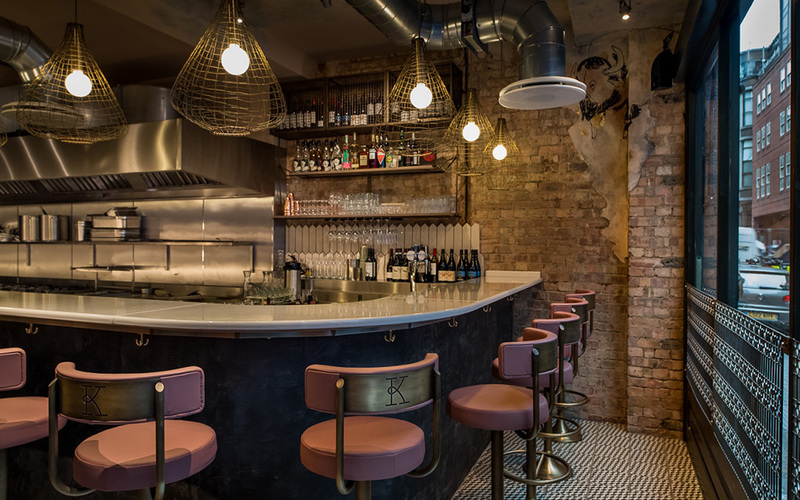 Kricket’s Soho branch has pretty much had an hour wait since the doors opened, so make sure you arrive early or late if you want a chance of propping yourself up at the bar here. Kricket’s reputation precedes itself: try as many of their English-Indian small plates as you can, and take advantage of the fact you’re sitting right in front of where they make the cocktails. 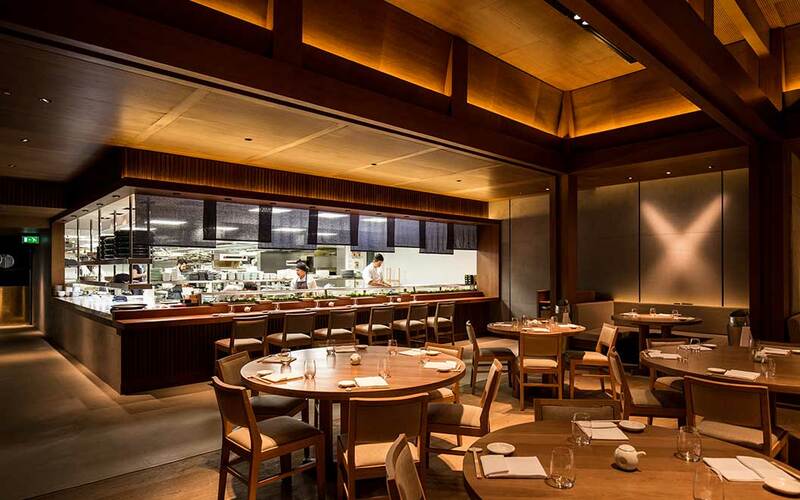 There are plenty of tables at Nobu’s sleek Shoreditch location, but we like taking a seat at their low bar – it’s easier to coerce the chefs into creating something off-menu for you, and it’s always interesting to watch them work. Padella’s wait times (on any day of the week, FYI) testify to how good their fresh pasta is. We’re seeing a lot of fresh pasta places opening up, but none of them seem to be getting close to the Padella hype. If you want to get a seat at the bar here, we’d recommend going very early for dinner, or going for a rogue solo lunch around 3pm. Try as many dishes as you can when you’re there, because who knows when you’ll get in again? Popolo’s downstairs bar offers intimate vibes. There are only a handful of seats, and you’ll be watching the chefs prepare innovative Italian dishes like black risotto with cuttlefish, hare pappardelle and naked ravioli. Upstairs, they have tables, but we’d pick a seat at the small bar which looks out into the street. This is a real hidden gem (and not to be confused with Polpo). 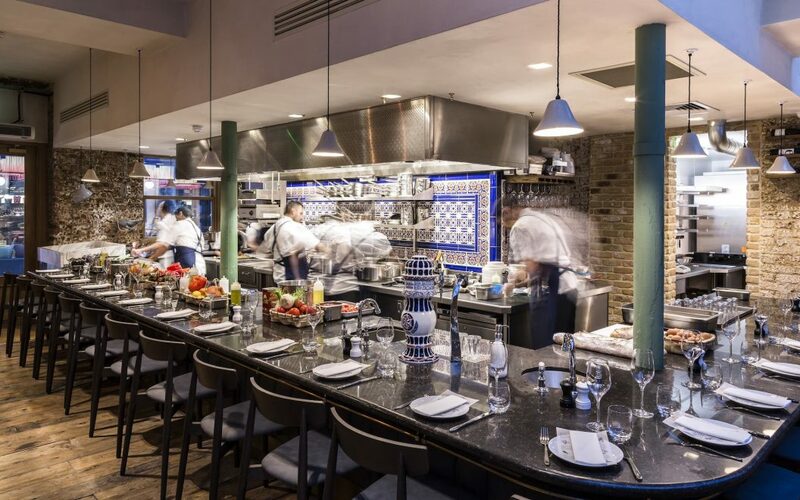 Given Nieves Barragan’s Barrafina heritage, counter dining was always going to be a focus at Sabor. Our tip here? 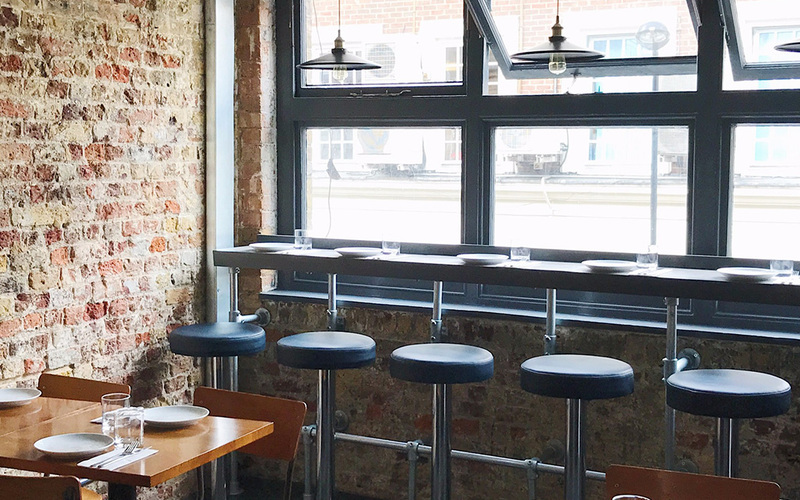 Start off at the bar for croquetas and cava, then try and get a seat at the counter (with low stools, #UJLoves) for bigger plates like grilled monkfish consommé and salt cod tortilla. This is one for treat night. Scott’s is a Mayfair institution, and one that’s steeped in a sense of grandeur: the doorman here will always remember you, even if you come in just once. 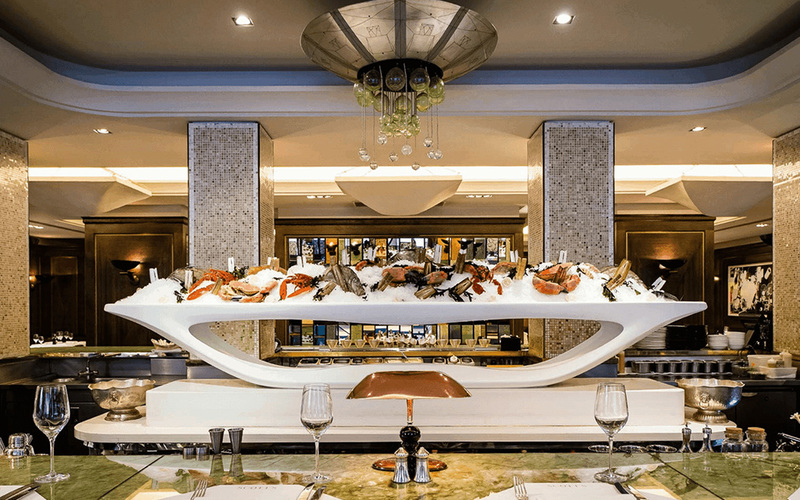 Book a seat at the (huge) marble-topped seafood bar, take in the mosaic floor, and order as many oysters as you can afford. 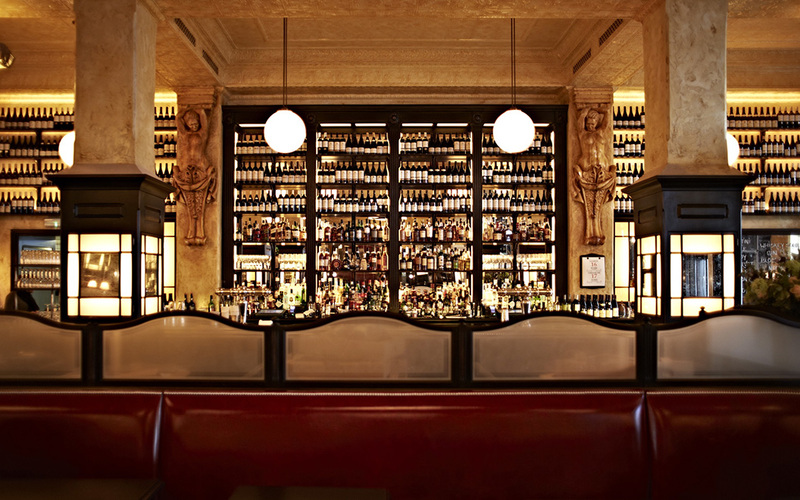 Another classic, Spuntino is a staple of the bar dining scene, and a very good staple at that. If you’ve over-indulged the night before, we recommend taking yourself here for a low-lit lunchtime fix of lobster mac and cheese, Swiss cheese burgers, pecan pie and their famed truffled egg toast. Again, we couldn’t finish off this list without including The Palomar (and shout out to The Barbary too, which is another UJ fave). It’s hard for us to pick a highlight, because everything is good: the vibe, the food, the drink, everything. But we especially love the sea bream a la plancha, the confit duck siske and the Persian pappardelle, with plenty of burnt courgette tzatziki and handmade pittas on the side, of course. Go!